Nintendo has recently hosted a 3DS-focused Direct event, and at this event several new things were announced, including the new 3DS model known as "New Galaxy Style". But aside from that, Nintendo has also announced 3 new games coming soon, two for 3DS and one for Wii U. These games are Pikmin 3DS, Super Mario Maker 3DS, and Pikmin 4. Starting off we have Pikmin 3DS, a side-scrolling adventure game that is largely controlled by the touchscreen. The game features many of the same elements from previous Pikmin titles, such as the Pikmin's color defining their abilities. Alongside the announcement for Pikmin 3DS, Shigeru Miyamoto stated that Pikmin 4 is still in development for the Wii U, but no more information has been given at this time. You can check out the reveal for Pikmin 3DS below. 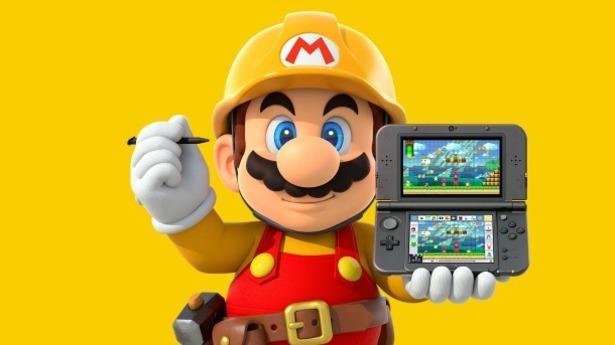 Super Mario Maker 3DS will be a toned-down version of the Wii U release. You can no longer search for specific courses by ID, and the 100 Mario Challenge is gone, but you will be able to play courses made on the Wii U version. Well, some of them, not all courses will be compatible. Aside from that, the only other things cut from the game is the Mystery Mushroom, and the ability to download stages. That's right, the only way to get stages is via Street Pass or a local connection with a friend. Seems rather stupid, given that games from 2008 allow you to download and play custom stages, but that's on Nintendo for living in the past. Super Mario Maker 3DS will be released on December 2nd, 2016, and Pikmin 3DS will be coming in 2017. No release date has been confirmed for Pikmin 4 as of yet, because Nintendo has been very seclusive about it. Are you looking forward to any of these releases? Will you be buying these games? Let us know in the comments! Shalour and Cynder like this.